Our Battlefield Tours visit many of the places where poets and authors served in World War One. 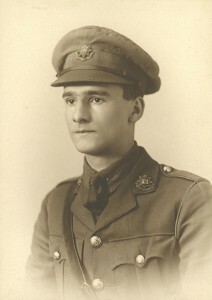 Robert Cedric Sherriff (who became a well-known author and playwright) joined the 9th Battalion East Surreys and was at the front with them at Loos in October 1916. He saw action very quickly and for some time the battalion moved from billets behind the lines near Cabaret Rouge to the trenches at Hulluch, part of the Loos battlefields, on a regular basis. We visit this battlefield area on many tours including The Forgotten Front. We visit the battlefields of the Ypres Salient on many tours including Ypres Remembered. In 1917 the battalion moved to the Ypres Salient and early in the year was in based in the front lines at Hooge, one of the most feared places within the Ypres Salient. During these months, whilst in the front line trenches, the battalion faced constant shelling, trench raids and sniper fire which resulted in many casualties. Sherriff was one of these casualties. As they passed a pill box, it was hit by a shell and the concrete was blasted upon those passing. Sherriff himself was thrown to the ground and thought part of his head may have been blown away. 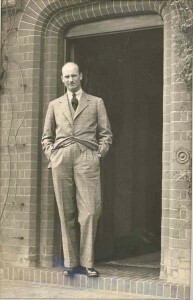 He made his way to a first aid post where he was treated and was eventually returned to Britain for further treatment. He describes how the doctors took over 50 small pieces of concrete from his head. He never returned to the front but stayed in Britain and was promoted to Captain. In 1929, Sherriff’s play ‘Journey’s End’ came to the West End with Laurence Olivier in the lead role and has become the most popular play set in World War One; it has become a standard part of many school examination courses. The play, set in a dug out during the Spring Offences of 1918, shows the interaction between the officers as they plan to carry out a trench raid. Sherriff went on to work in Hollywood writing the screen play for films such as The Invisible Man, Goodbye Mr Chips, The Four Feathers and The Dam Busters. He died in November 1975.